When Delilah Blue Lovett was a little girl, she asked her father why her mother wasn’t coming with them to California? Her father told her that Delilah’s mother no longer wanted to be a part of their family. Delilah was satisfied for the moment but she always wanted to someday confront her mother about walking out of her and her father. Delilah is an adult now and wonders what ever happened to her mother. Delilah decides to seek her mother out to learn the truth before it is too late. Delilah has the early stages of Alzheimer’s. 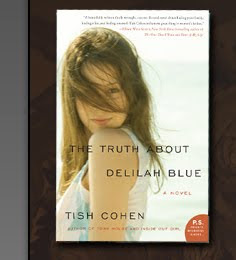 What Delilah learns about the truth regarding her mother and the life she lived will shock her. Grant County Officer Lena Adams is called to the scene down at the lake. A young woman has been found in the lake. The girl’s throat was slashed. Lena and her partner, Frank Wallace follow up on a lead. There lead take them to the house of Mr. Braham. Inside the house they find a man wearing a ski mask and holding a knife. The man is Tommy Braham. The police arrest Tommy. Dr. Sara Linton has returned to Grant County after a long extended absence. Tommy is a patient of Sara’s. When Sara learns that Tommy is the main suspect in the murder investigation, she asks FBI Special Agent Will Trent to prove Tommy’s innocence. Will quickly finds himself in the middle of Sara and Lena. Which one can he really trust? 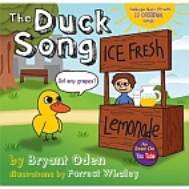 Burbank, CA - July 29, 2010 - Author Bryant Oden is pleased to announce the release of The Duck Song, available September 1, 2010. With the touch of a button on the cover, children will be singing The Duck Song as this musical book tells the comical story of a persistent duck that pleads for grapes at the most unlikely of places: a lemonade stand. Adults and children alike will delight in listening to the music, singing along, and reading this book again and again. Included with the book is a music CD, The Duck Song and More Fun Songs, with 12original children's songs by Bryant Oden. Featured songs include the hits "I Got A Pea," "Honey Bear," "The Duck Song #2," and many more! 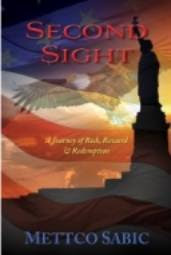 A Disagreement in Idaho Holt E. Glenn's timely new action and adventure novel may turn out to be the definitive work on illegal immigration as it dramatically explores the consequences of continuing to ignore our immigration laws. Winnabow, NC - July 29, 2010 - Author Holt E. Glenn announces the release of his new fiction work, A Disagreement in Idaho. Glenn's novel explores what would happen if tne state, frustrated with the federal government's refusal to do anything about the local incursion of illegal immigrants, took matters into its own hands. 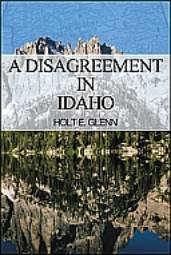 A Disagreement in Idaho is set in the beautiful and rugged lands of Idaho in the style of a grand western novel, but political intrigue weaves contemporary themes into the actions of Governor Seabon Wilson, whose state is overrun by illegal immigrants. He does not want to do battle with federal authorities, but he finally decides he can no longer stand idly by. Lacey Terwilliger probably never would have known her husband was having an affair with his receptionist, if it hadn’t been for Cherry Glick delivering Lacey a bouquet of flowers with a signed card that says “To my Bumblebee, Happy Anniversary, with all my love, The Stinger. Lacey decided the best way to get even was to send a slanderous email to every one in Lacey’s email address book about her cheating husband, Mike. Unfortunately for Lacey, she forgot to remove Mike’s parents, Lacey’s parents and her pastor from the email before she sent it. Now everyone is putting in their two cents. Lacey needs to get away from it all for a while. She heads to her family’s cabin. Lacey quickly realizes that she is not alone. Monroe is renting the next door cabin. Monroe never expected his first meeting with Lacey to be a disaster. Soon, Monroe and Lacey become fast friends and maybe a little more then friends. Will Lacey give love a second chance? Jim Fate is the name and face of his radio show, “The Hand of Fate”. Jim’s favorite past time is attacking the government and reading his threat mail on his radio show. He picks out the best ones and reads them on the air in what he likes to call his “Nut of the Day”. It seems that Jim might have taken things a bit too far this time. A package arrives and inside it is a canister of poisonous gas and Jim quickly dies. 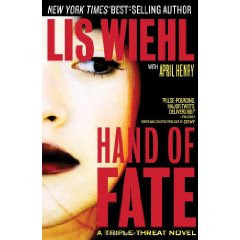 FBI Special Agent, Nicole Hedges; Crime reporter, Cassidy Shaw and Federal Prosecutor, Allison Pierce are quick to learn the news and are right on the case. Though, Nicole is a bit distracted seeing as she is pregnant. Cassidy has an extra interest in Jim’s murder. She is not just interested because of a story but because she and Jim were close…really close. You can bet though that with the Triple Threat Club on the case that Jim’s murder will be solved. I am not that familiar with the search and rescue aspect involving dogs, so it was nice to get to learn about this field. 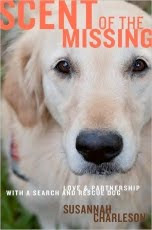 Scent of the Missing: Love and Partnership with a Search and Rescue Dog really made me appreciate the devotion and dedication that the men, women and dogs spend day after day searching for people. The word “quit” is not in their vocabulary. I could relate to Susannah and Puzzle’s strong bond. I raised a guide dog for the blind and we got close. His name was Patriot and we relayed on each other. What I found interesting is that for both search and rescue and guides dogs for the blind that the dogs used were the same types of breeds. The main dogs for guide dogs for the blind are Labradors, Golden Retrievers and Germen Shepard, which were all the same types of dogs featured in this book. To be honest I had never heard of Samantha Bee or knew that she was the Senior Correspondent for Jon Stewart’s The Daily Show. I just wanted to try out this book because I thought it sounded really good as far as memoirs go. I know I am, but what are you? 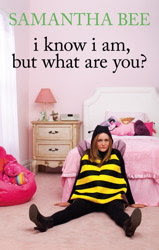 is a quick, cynical, interesting look into the life Samantha Bee had growing up. Who knew that being healthy was to die for! Detective Merryll Manning is in need of a mini vacation. When he sees Sister Susan ad saying “Take a refresher course in Sunny Australia: The Happy Valley Health Way is the Natural Way”, Manning decides to book a trip. Sister Susan runs a health clinic. Merryll is joined by David Grey, a text book publisher, Erasmus J. Hopkins, astrologer, Lester Jurd, retired ship captain, Russell Payne, retired firm exhibitor, and Seldon “Zapata” Taylor, firm critic to name a few. It seems that even when Merryll wants some rest and relaxation that it is hard to get any when dead bodies pile up around him. Russell Payne has been found murdered. 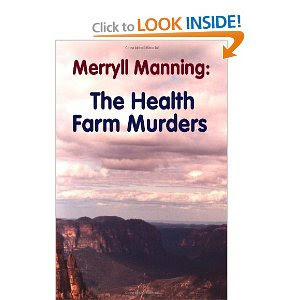 Merryll must find the killer before it is too late. It won’t be easy as everyone is a suspect. Irini Asimakopoulos’s body has been found at the bottom of a cliff. She has been dead for two days. The local police of chief chalks Irini’s death up to a suicide. Hermes Diaktoros has been displaced from the city of Athens to investigative the murder of Irini. When Hermes arrives he finds he is not welcome. The police think Hermes will come to the same conclusion as they did…suicide. 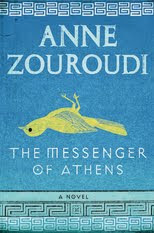 Hermes can feel that Irini’s death was not a suicide but a murder. He aims to uncover the truth. No matter what steps he has to take to get to the bottom of the truth. Cathy O’Dell is the new owner of the Honky Tonk bar. She brought it from her cousin, Daisy from I Love This Bar. 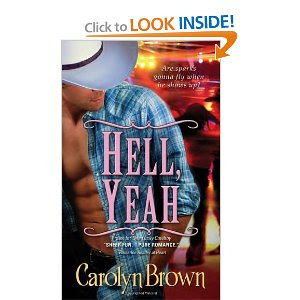 Cathy loves being the owner of the Honky Tonk. She meets some interesting people. Travis Henry is in town temporary for a few months. He is helping out working at the oil rig site. Travis kicks the New Year off with a bang, when he kisses Cathy. Travis thinking that Cathy was just a waitress at the bar, gets a big surprise when he discovers that Cathy is the owner. At first Cathy wants no part of Travis. Travis can’t stop thinking about Cathy and the kiss they shared. Will Cathy find her happy ending or heart ache? 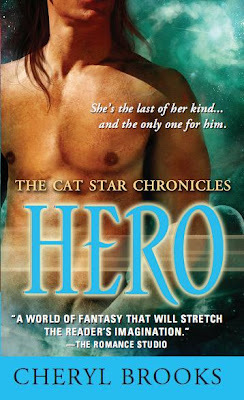 The Cat Star Chronicles series is based around the galaxy of Zetith and the good looking cat like men that come from this galaxy. A long time ago the galaxy of Zetith was destroyed and the feline men were sold off as slaves. Hero is Tragonathon “Trag” Vladatonsk’s story. 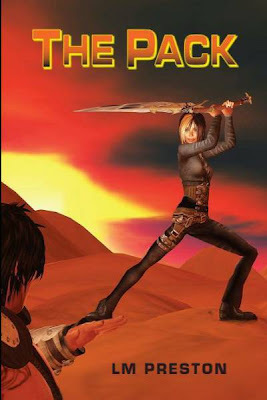 Trag was in Rogue, the third book. Trag is lonely and wants to settle down. Though, Trag won’t settle for anyone less then a fellow female Zetithian. A female Zetithian is rare. Trag is willing to wait. Micayla Johnson works on Orleon Station. She is the last Zetithian female. Micayla is spotted by Rutger Grekkor, head of the Commerce Consortium. Rutger despises the Zetithian males. Micayla over hears Rutger gloating about destroying Zetith. When Rutger spots Micayla he aims to take her. Micayla runs and ends up on a space craft with Trag. Trag’s first meeting with Micayla is not lover at first sight. Will the second time around be the charm? Fort Wayne, IN - July 22, 2010 - As a boy he watched his father abandon a wife and three sons, leaving author Mettco Sabic to help raise his two siblings. As a young man, he trafficked in the international black market, risking his life to make a living for his family. As a soldier, he deserted the Bosnian National Army to become a rebel freedom fighter, defending his home and the emerging independence of Bosnia. Then, in an instant, his life changed forever. During one bloody skirmish in his own city, as he knelt to give aid to a wounded soldier, Mettco fell victim to a sniper's bullet, and the world went black. 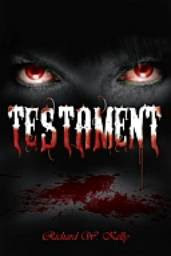 Paranormal Transformation Gives the Hero in This Novel A Purpose Arlington, TX - July 22, 2010 - Author Richard W. Kelley announces the release of his new paranormal/fantasy novel, Testament. The police had a lead for the double murder at the gas station on Melor Avenue that night. But why was Thomas, the store clerk, still missing? After the shooting, Thomas, motionless on the floor, felt the warmth of his blood as it poured out from the wound on his neck. What was that unholy creature with the long black silky hair, he wondered, that had seemed to float into the station just as the shooting had ended? 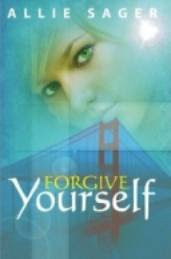 When Roxy Tam was just nineteen she found herself trusting the wrong people and it almost cost her, her life. It wasn’t Roxy’s day to die. She vowed never to do that again and make sure what happened to her does not happen to someone else. Roxy fights for humans. She is not afraid of anyone. Dagan Krayl is half human, half god. Dagan also has a reputation of being the best Underworld soul reaper. Or course, you won’t expect anything less from the Underworld God’s son. 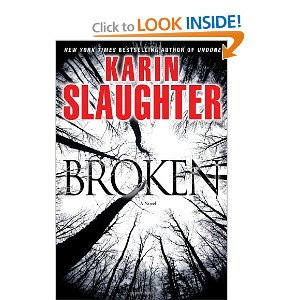 One of Dagan’s brother’s is murdered. It is nearly impossible to kill a soul reaper. Dagan goes on a rampage to find the person responsible. Dagan teams up with Roxy. This is when the passion ignites. Masked is more of an inside look into what makes a superhero in their truest form. So if you are looking for lots of action and adventure then you may be a little disappointed. I mean there was some fighting going on but I was expecting this anthology to be like the comics and television series I grew up with. Though, I have to say that I did really like some of the stories featured like: Where Their Worm Dieth Not (kind of like the stories I was used to reading. Also it reminded me some of the Twilight Zone), Secret Identity, Avatar and Call Her Savage. I am not saying that some of the other stories weren’t bad but this is one time where I felt that the stories were too short. They were just start getting going and then the story would end. The more human aspect of the superheroes was nice to see where these characters come from and who they are. Though, I was introduced me to a bunch of new writers. 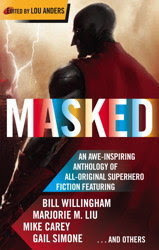 Overall, Masked didn’t reveal itself to me, in order to fully enjoy this anthology. Someone is chasing Max. Whoever it is has Max wanting to let loose and let his other side take over. This is all fine except that Max could turn on Cee Cee at a moments notice. Cee Cee loves Max but she is still trying to adjust to his shape shifter side. Max has been there for Cee Cee all the time. Now it is Cee Cee’s turn to repay the favor. Can Cee Cee help Max before it is too late? 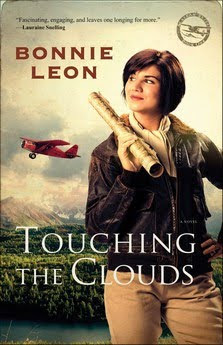 Check out this cool book that I discovered on Lisa Roe's Blog. 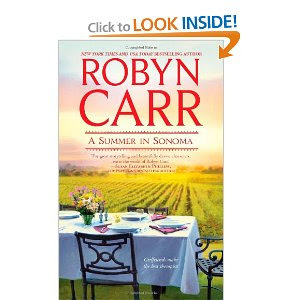 She is also hosting a contest for a gift certificate to Harlequin. Hurry as contest ends Aug 1. "I can't hear you. I can't hear you," I repeat, talking to myself. Maybe if I keep saying it the voice will go away. I know people driving by me probably think I'm a lunatic. My feet are moving so fast I barely feel them touch the ground. Cool air slaps my face like it's trying to remind me that I'm outside. It's almost spring according to the calendar, but it still feels like the dead of winter in Lincoln. Probably because we're so close to the water. Whatever. I'm cold and I think it's beginning to rain. But I don't care. I just want to get home, inside the house, to the safety of my room. It won't follow me there. 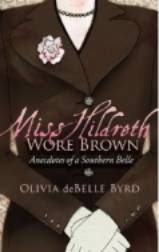 Panama City, FL - July 20, 2010 - Morgan James Publishers is delighted to report that its first printing of Miss Hildreth Wore Brown-Anecdotes of a Southern Belle by Panama City, Florida, author Olivia deBelle Byrd, sold out in less than two months and is now on the best seller's lists. 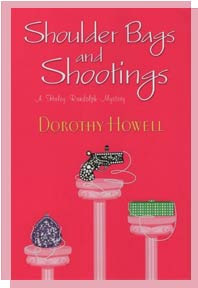 Byrd, a self-described Southern Belle, said the collection of humorous essays that deal with everything from parties where society ladies wear Christmas trees with blinking lights hanging from their ears, to stories about Sunday church, where a mink coat is mistaken for a possum, all come from personal experiences. "After I was telling one of my many stories for the umpteenth time, my long-suffering husband looked at me with glazed over eyes and said, 'Why don't you just write this stuff down?' So I did." Detective Michael McCabe receives a phone call to come down to the pier. A woman’s body has been found in the trunk of an abandoned car. The woman is attorney Lainie Goff. Detective McCabe knows the first several hours are critical in a murder case. That is why McCabe jumps into his investigation right away. McCabe comes upon one witness but there is just one problem…she is considered crazy. Her name is Abby Quinn. As McCabe digs into who Lainie was, he enters a dark world. Also can he figure out what is real versus fake with Abby? Haley Randolph has just returned form a fabulous trip to Europe with her boyfriend, Ty’s grandma. Haley picked up a bunch of new, fashionable items. The only thing missing is…the Sinful bag. It is the seasons must have item. Haley needs to get her hands on one. Ty’s grandma has Haley drop her off and drive herself home in her car. She tells Haley, she can return in the next day. Haley’s day quickly goes down hill. 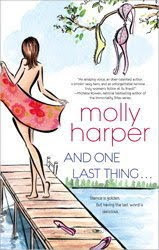 First she finds the body of her arch rival, Tiffany Markham in her boyfriend’s grandmother’s truck of the car and second Haley can’t find a Sinful bag anywhere. Oh what is a girlfriend to do? Mark and Pam Walker are celebrating their twenty-fifth anniversary. They have invited their whole families. First Mark’s sister, Lynn and her prized cat, Coco arrive. This comes as a huge surprise as Lynn’s ex-husband embezzled money from Mark. Next comes Pam’s mother and…boyfriend! Then comes Mark’s sister, Nancy with her husband, Carter and son, Corey. Finally, Mark’s older brother Patrick, his wife, Elaine and their daughter Jessica arrive. The town of Lumby will never be the same again. Kate Evans feels like she needs a major change in her life. She called off her wedding and is moving to Alaska to become a bush pilot. When Kate arrives, she starts having second thoughts. Kate quickly adjusts to life in Alaska and makes some friends. Paul Anderson lives alone in the Alaskan wilderness. It has been a while since Paul has had any romantic feelings for a woman. So it surprises him when Paul goes into to shop for supplies and meets Kate. Kate and Paul set up a date to go up in Kate’s plane in the spring. Back in 1985, Frank Mackey was nineteen, growing up poor in Dublin's inner city and living crammed into a small flat with his family on Faithful Place. But he had his sights set on a lot more. He and his girl Rosie Daly were all set to run away to London together, get married, get good jobs, break away from factory work and poverty and their old lives. But on the winter night when they were supposed to leave, Rosie didn't show. Frank took it for granted that she'd dumped him - probably because of his alcoholic father, nutcase mother, and generally dysfunctional family. He never went home again. Silver Malloy works for Earth Centrum Security Integrated Network. Her latest mission involving taking down Tyrone Bluth. Tyrone is the leader of Tyrone’s Marauders. The toughest bandit crew around. Silver almost had Tyrone when she came face to face with another opponent. His name is Jace Vernon. Jace is also tracking Tyrone but for a different reason. Jace doesn’t really want or planned to team up with Silver but in order to achieve his goal, Jace must work with Silver. Who will win…Silver or Jace? LM Preston is the author of the book The Pack. 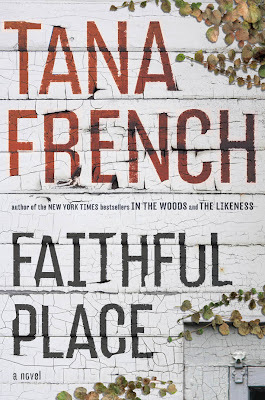 I read and reviewed this book and really enjoyed it. You can read my review here. Being a teenager that had all of the odds stacked against her from the start, I am a true, real life survivor who pulled from within herself to be a leader. Then later, through writing, I became a super-hero and so much more. Here's a fun biographical story about a turning point in my life when I realized that even though I was a kid, I had stregnth and the power to change my destiny, even though sometimes it hurt. When I sit down to write my novels from a teenaged perspective, I have a lot of material to pull from. I was called all sorts of names, teased, and jeered at. I wasn’t the lowest on the totem pole, but I was somewhere near the bottom middle of the middle school pecking order. Yet, through these experiences I learned something about myself. I was a survivor and I was never a follower. realizes how love can really be when she is guided to a stranger, and both their lives are changed forever. is not her spouse. 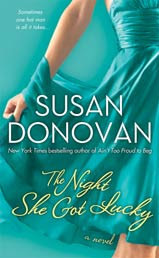 Struggling with guilt and longing, Sammy tries to put Connor out of her mind, but the attraction is too strong. Unbeknownst to Sammy, she is being guided by a loved one from her past, a spirit that is showing her real love while protecting her from harm. As the spirit protects and guides Sammy, she discovers challenging secrets from both her and Connor's past that could impact their future. Palm City, FL - July 8, 2010 - Today the President of Florida Association of Forensic Professionals endorsed Shadow Cay. 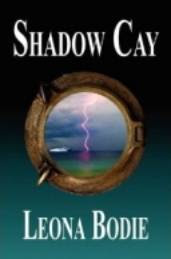 Chere Reynolds, Criminalist II, MDPD and the President of Florida Association of Forensic Professionals said, "Leona Bodie is a masterful storyteller, and I highly recommend her new thriller, Shadow Cay. The MDPD Crime Lab was inspiration for some parts of her first novel. This book speaks to the challenges forensic professionals face every day especially in Dade County. Shadow Cay is a steamy suspense about murder, drug cartel and local corruption taking place in the tropics between Miami and the Bahamas." The author says, "It's very loosely based on an event from my own past, and it's a book I have been trying to write for more fifteen years. It also helps being married to a forensic specialist." Interview with Author Jennifer Walker – Young Adult Fiction Novelist! 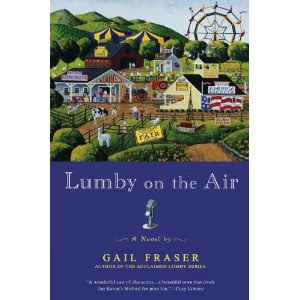 Book Give-Away July 12 - 19: for those interested in Bubba Goes National, leave a comment about this interview with your e-mail at http://lindaweaverclarke.blogspot.com . U.S. and Canada only. 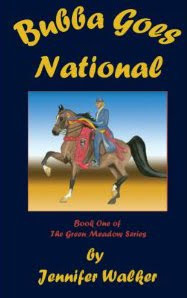 Bubba Goes National is about a 13-year-old girl, Leslie Clark, who finds an Arabian horse at a livestock auction. She takes him home, finds out he is immensely talented and starts taking him to horse shows. 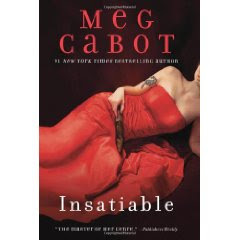 It is a dream come true when she takes him all the way to the National Championships, but along the way she has to deal with her snotty rich rival, Kate. SACRAMENTO, CALIFORNIA – Have you ever gone shopping for a gift book for a child or teen and wondered if the book was appropriate? Getting a hold of an independent review can be tough, because newspaper print editions with book reviews are becoming scarcer, and several of the remaining book reviews don't review many children's or young adult books. 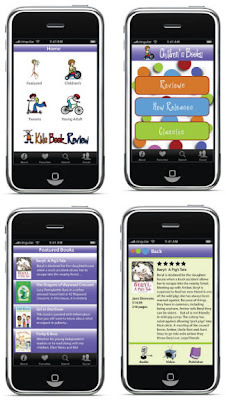 Now, help is available instantly, thanks to a highly useful iPhone book review application called Kids Book Review, developed by Heidi Komlofske and Ross Rojek of 1776 Productions (www.kidsbookapp.com) of Sacramento, CA. Legends of the Movies! reveals little-known, vignettes about the world's most fascinating industry. 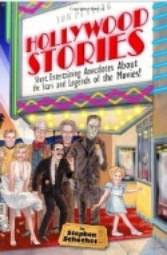 About the Stars and Legends of the Movies! I wanted to share with you all about Jennifer Weiner's yummy book tour. Might try to make the tour at the Tattered Cover. #1 New York Times best-selling author Jennifer Weiner’s “Cupcakes Across America Book Tour” kicks off July 13th celebrating the release of her latest book FLY AWAY HOME, hitting bookshelves July 13th! 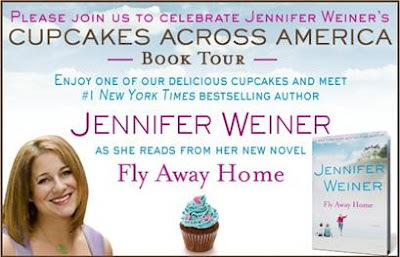 Weiner fans will get to enjoy delicious cupcakes from local bakeries and meet Jen as she reads from FLY AWAY HOME. The Cupcakes Across America Book Tour is Jen’s way of thanking all of her fans for their enormous support. Jen chose the best bakers across the country…and found it amazing how many of these shops are run by mothers who started their own businesses. Andrea “Andi” Wolkowicz left the big city and her corporate job for the simple life in Plainview to care for her sister, Angela “Jelly” and her father. Andi knows she needs to get a job to help support her family. Pete Guthie is the owner of Guthie Foods, local supermarket. When Pete first comes in contact with Andi, things don’t go smoothly. Andi comes up with the perfect idea to reopen her father’s old car wash business. This car wash will have a twist. Hence…Plainview Bikini Wash and Wax. Things are about to heat up or cool down in Plainview. Being in high school is tough but it is worse if you are Daisy Crispin. Daisy is a perfect student and never gets into trouble. Poor Daisy her parents won’t let her date. This makes things very complicated to get a date to prom, when prom is only 196 days away. Daisy doesn’t care what her parents say she can or can’t do. All Daisy knows is that she can’t go off to college without a prom picture to show. It will be just embarrassing if she is the only girl in college who has never dated or had a prom date. Luckily for Daisy, her good friend Claire won’t let Daisy go to college without a prom picture. Julie and her husband Billy are high school sweethearts. They fell in love, got married and started popping out kids. Julie is so sick and tried of constantly paying bills. Julie will receive the surprise of her life soon. All Cassie is looking for is Mr. Right. She thought she found him but he turned out to be Mr. Wrong. In fact, he was so Mr. Wrong that Cassie was rescued by a knight on a Harley bike. His name is Walt Arneson. Cassie figures what can it hurt to hang out with Walt riding on his motorcycle, even if he is not the one or is he? Marty and her husband, Guy have been married for a long time. Lately, Marty feels like the spark has gone out of their marriage for good. She is tempted be a younger man. Marty is at a crossroads. Which path will she choose? Beth is a doctor. Her job is to treat and help heal people. Can Beth be strong when the tables are turned and the doctor becomes the patient? Meena Harper works as a script writer for a soap opera television show called Insatiable. Besides writing scripts for Insatiable, Mia has the unique ability to look at someone and tell that they are going to die. Of course, some people don’t think of this as cool but see Mia as a freak. 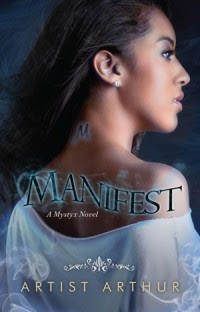 Mia’s boss wants Mia to incorporate a vampire as a long interest into the story line. Mia would rather jump off a ten story building then have anything to do with vampires. She is not impressed with them. Her boss wants her to do this as their rival soap opera; Lust has become a smash hit, since they jumped on the vampire band wagon. Lucien Antonescu is the leader of the vampires. When he learns that he may have a rogue vampire on his hands, he decides to travel to America to take care of the issue himself. As soon as Lucien meets Meena he wants her. Can he convince her that he is the one for her? Rachel Farnsworth has the perfect life. She is married to a good man, Kevin and they have a one year old son, Cassidy Henry. They live in the town of Dogwood. Or course living in Dogwood, nothing is normal or as it seems. Kevin has skipped town. He has been found out and wanted to leave before the going got tough. Samsapiel “Sam is a fallen angel. Sam has been sent to retrieve Kevin. 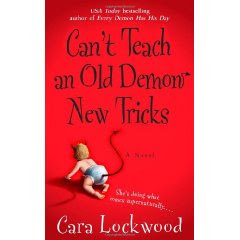 When Sam first meets Rachel, he takes her for someone who is looking to better themselves by hooking up with a demon and having a child. Sam isn’t the only one after Kevin. Things are about to heat up really fast. 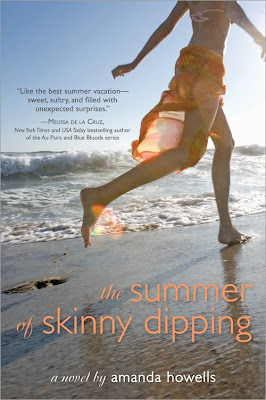 Sixteen year old, Mia Gordon and her family head to the Southampton’s for the summer. They are staying with Mia’s Aunt Kathleen, Uncle Rufus and their daughter Corinne. Mia is hoping this is just the thing to get her mind off her break up with her boyfriend. At first Mia is taken back by how much things have changed. Mia remembers how close Corinne and her mother were and all the good times she and Corinne shared together. Now, Corinne and her mother argue all the time and Corinne and Mia travel in different circles. Corinne has become quite the rebel. Mia leaves left out. 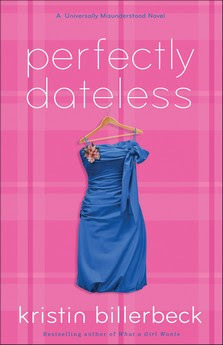 While attending a party, Mia meets and strikes an instant friendship with a mysterious and intelligent boy named Simon Ross. Soon, Mia is taking late night skinny dipping swims with Simon and long talks on the beach about their future. Matt Locke is a newspaper reporter. Though, he writes more of the gossip column news. Rosie is Matt’s girlfriend. Rosie is tried of the city and dreams of moving to the country. Matt is stuck in his ways and would rather die then move to the country. That all changes when Matt gets the opportunity to write his own column and become a free lance reporter. His first feature will be about life in the country. Rosie could not be happier. Samantha Villers is an actress. Lately, her career has become almost non-existent. With her husband, Guy’s failing health and failing career, Samantha needs to do something soon to jump start her on the fast path again. Samantha comes up with the idea to move to the country. There she hopes to find some inspiration. Things are about to get wild in Eight Mile Bottom. Amber O’Neil shares a connection with her brother. They can telepathically communicate with each other. 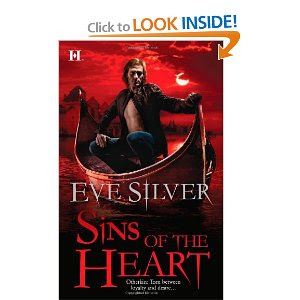 When Amber hears Parker’s call for help, she rushes to the shores of Ireland. Amber enlists the help of Kevin Hennessy. At first Kevin wants nothing to do with Amber and her wild goose chase for her brother. Though, Kevin can’t deny the attraction he feels with Amber and agrees to help. Amber and Kevin just may be in over their heads. Dominic Raikes is the elven son of Imperial Lord Mor’ded. Dominic is a great leader and possesses extraordinary magical talents. Lord Mor’ded has Dominic under his command. Lady Cassandra Bridges is to be married to Dominic. Though, their marriage is not born out of love. Being married to the elven king’s son brings Cassandra that much closer to spying and keeping tabs on the king. Will Cassandra’s rouse be discovered? Also, how will Cassandra react when the man she married is not the man she thought he was but someone better? Nyx Ciar is half-human and half-Drow. She and her good friend, Olivia are in business together. They are private investigators for paranormal crimes. Dmitri Karl Beketov leader of he werewolf pack needs Nyx’s help. Someone or something is attacking and killing the werewolves. Already six werewolves have been mutilated. Nyx calls on some of the best trackers that includes Dopplers, Shifters, Were, and Fae. Nyx finds some extra help in the form of Detective Adam Boyd. Things between Adam and Nyx are about to get hotter but they better watch their backs as the killer is out for blood. 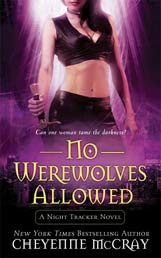 No Werewolves Allowed is book two in the Night Tracker series. 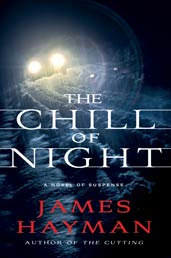 I have not read book one but I didn’t affect me from enjoying this book. Though, I did like this book so much that I plan to go back and read book one. Ginger Garrison is a single mother, thanks to finding her ex-husband in bed with another woman. Bride’s made dresses can be killer. Take it from Ginger, who knows first hand. Ginger went outside to get some fresh air when she fainted into the arms of a handsome man. Lucio “Lucky” Montevez used to be a very famed photographer. He was the most requested photographer. He would travel all over the world taking pictures of unique wildlife. Due to an unfortunate incident, Lucky is now let shooting pictures for weddings. Lucky offers to photograph Ginger and her dog. Could this be the start of a beautiful friendship or something more?